Made his debut with Beopetrol during the 1996-97 season. Signed for the 2001-02 season by FMP Zeleznik. Left the team on December '04. On April '05 moved to Belgium, signed by BC Oostende. Moved to Ukraine for the 2005-06 season, signed by BC Kyiv. Back to Serbia for the 2006-07 season, signed by BC Partizan Belgrade. Back to Serbia for the 2009-10 season, signed by BC Partizan Belgrade. 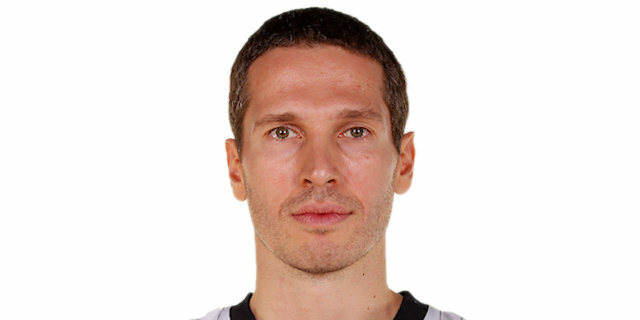 Named the 2009-10 Euroleague Playoffs Game-1 MVP. Won the 2006-07, 2007-08, 2009-10, 2010-11 and 2011-12 Serbian National Championship with BC Partizan Belgrade. Won the 2008-09 Greek National Championship with Panathinaikos Athens. Won the 2008, 2010 and 2011 Serbian National Cup with BC Partizan Belgrade. Won the 2007, 2008, 2010 and 2011 Adriatic League with BC Partizan Belgrade. Named the 2000-01 Yugoslav League MVP.